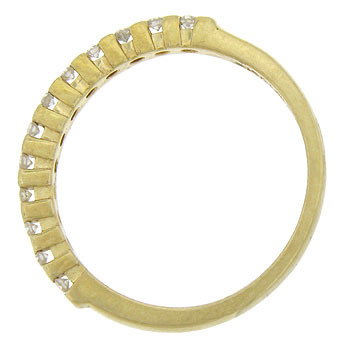 A string of bold prongs grasp sparkling round cut diamonds on the face of this handsome 14K yellow gold wedding band. 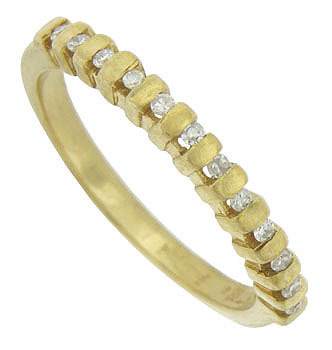 The estate wedding ring measures 1.97 mm in width. Circa: 1960. Size 6. We can re-size.